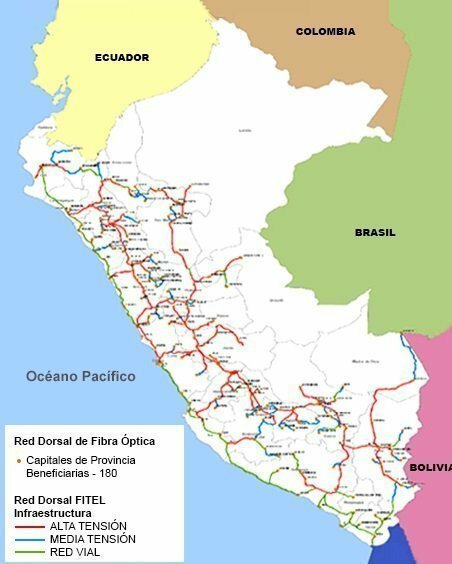 Peru’s Transport and Communications Minister Jose Gallardo ku told the local news media that the country’s first nationwide fiber optic backbone network, which is under construction now will be completed before the current Government steps down from power in late July this year. The Minister was on an inspection visit to the monitoring center of high technology RDNFO (Red Dorsal Nacional de Fibra óptica meaning National Optical Fiber Backbone Network in English) that will bring high speed broadband services to the 180 provincial capitals and 136 towns to integrate 22 regions in Peru. The RDNFO is nationwide fiber optic cable laying initiative that will have around 13,500 kilometers of optical fiber cables laid across the nation to provide digital connectivity. Peru’s Ministry of Transport and Communication has invested approximately US$ 333 million to build a nationwide fiber optic network. In the monitoring center located in Huachipa, the officials verified transmission of optical signals, which is carried out homogeneously connecting 322 telecom nodes distributed nationwide. Technical as well as administrative teams have been identified to ensure the safety, quality and continuity of services being provided over RDNFO.. The minister stressed that when service providers and operators providing services such as cable television, telephony and Internet use RDNFO infrastructure, they will access to a high-capacity network with optimal quality at reduced and nominal rates, which will benefit hundreds of homes, schools, municipalities and public entities. The Minister told that the RDNFO is the first project supported and implemented by the Peruvian State in the telecommunications sector under the form of Public-Private Partnership, which includes the installation, operation and maintenance. The Minister reminded that one of the strategic targets of his Ministry is Digital Inclusion, through which citizens from underprivileged sectors will be able to access tele-medicine, online education, online education/training and online security services. 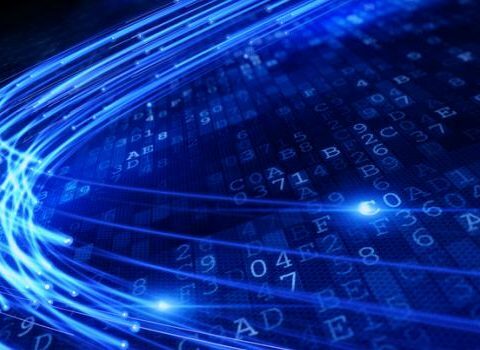 The key motivation to develop the National Optical Fiber Backbone Network was the demand for broadband services in the interior of the country, mainly in Peru’s highland and jungle areas. Prior to RDNFO, optical fiber networks were located mainly along the coast, with some branches in part of the highland,, which basically reached the regional capitals. On the other hand, access to (privately owned) optical fiber transport was a barrier to the development of the country’s telecommunications and, above all, to widespread use of broadband services. Peru’s government implemented laws, an Act for Broadband Promotion and National Optical Fiber Backbone Network Construction, which declares the Backbone Network’s construction as of public concern and national interest. RDNFO will get connected to the fiber optic cables coming from Peru’s neighboring Bolivia, Chile and Ecuador. The project awarded by PROINVERSION to Azteca Comunicaciones Perú S.A.C.. The contract was signed on June 2014. The network deployment was started on December 18, 2014 and it is now scheduled for completion by the end of July 2016.